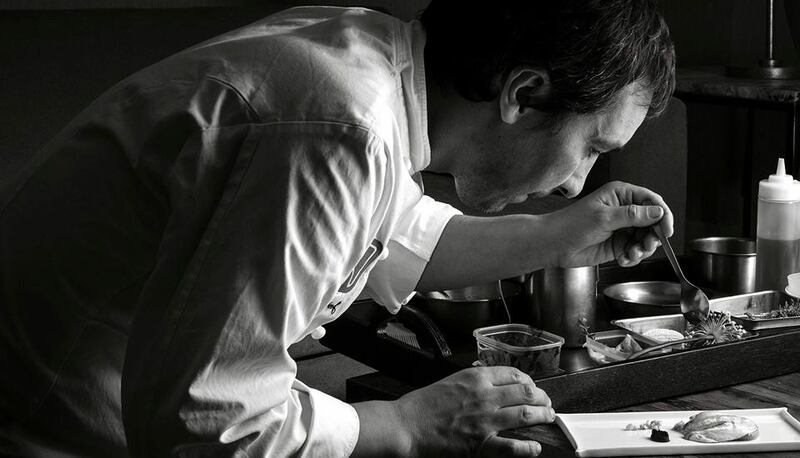 Given its privileged location in the town of O Grove (Pontevedra), one of the most coveted dining destinations in Galicia, and the skills of its chef Javier Olleros, it is not surprising that the restaurant Culler de Pau has acquired the excellence of a Michelin Star since its opening in 2009, along with many positive reviews which in addition to praise its comfortable style and the high quality of its cuisine, praise the closeness of its staff. The chef learned from his father, the efforts and sacrifices required to conduct a culinary business so it is viewed positively by the clients. 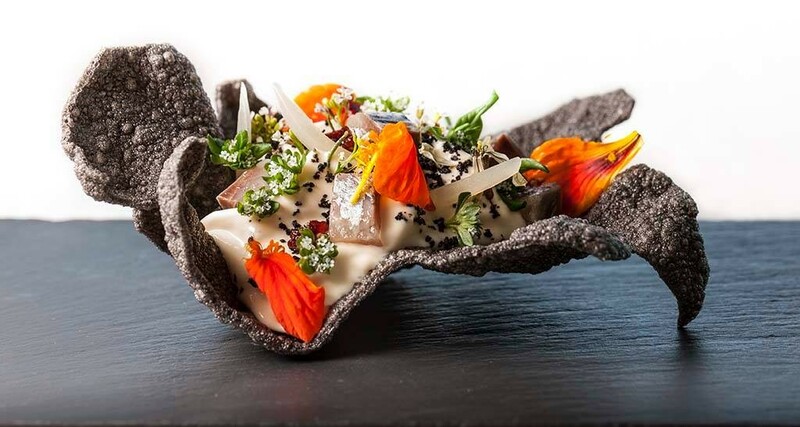 From another great chef, Pepe Solla, Javier learned to reinterpret traditional Galician dishes in an innovative, original and visually appealing way. The expertise of Olleros is so good that Culler de Pau was included, a few months after its inauguration, in the Grupo Nove, a prestigious association of some of the most famous chefs of Galicia, as Pepe Solla and Yayo Daporta. 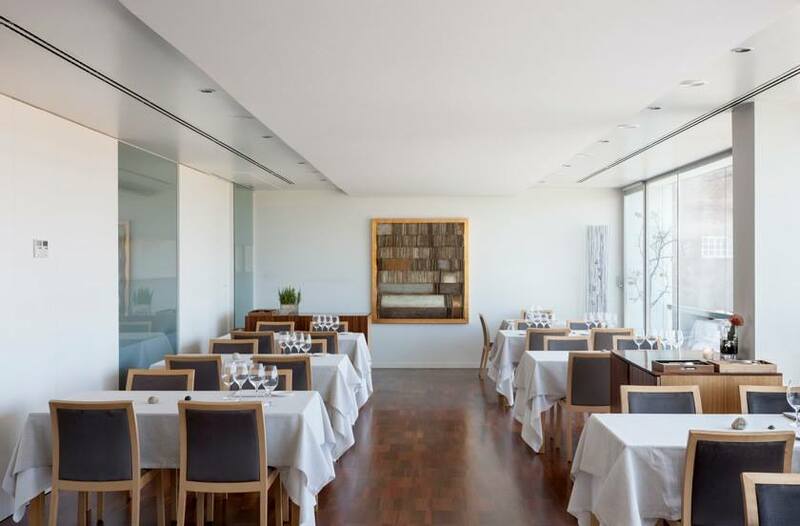 As if it was a landscape painting, the Arousa estuary becomes visible through the large windows of the main dining room, printing a touch of color to the minimalist style of the place, chaired by light colors that provide exceptional brightening. The decorative simplicity, also present on the façade of the restaurant, only serves to highlight the spectacular surrounding native landscape, chaired by greenish and bluish tones. Each of the recipes prepared by the chef and his team collect the marked flavors of the sea and the Galician garden, something that fits with the spectacular views of the natural landscape from the restaurant. 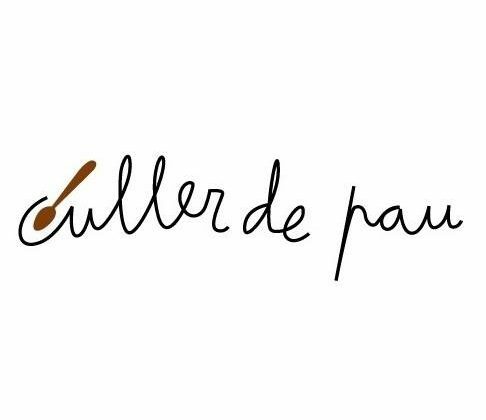 The main premise of Culler de Pau is to promote, through the final presentation of the products and fusion of textures and flavors that diners can be part of the process of preparation of each dish, from the collection of raw materials from crops and sustainable fishing until the creative plating. The menu at this Michelin-starred is seasonal, which means that it is subject to modifications depending on the products which proliferate in every season. The customer can choose between three options: the dishes of the main menu, including recipes like octopus “á feira” and hake with seaweed butter and zucchini; the tasting menu such as marinated mackerel with pickles, dried tomatoes and caramelized endive or toast, coffee with milk and cocoa; or the gourmet menu, with dishes as the rock bottom crab and anemone emulsion or the crispy rice with anchovy cream and herbs Adelina. Different combinations with a common trademark: a process of artistic development almost appealing to memories and feelings channeled through marked flavors.